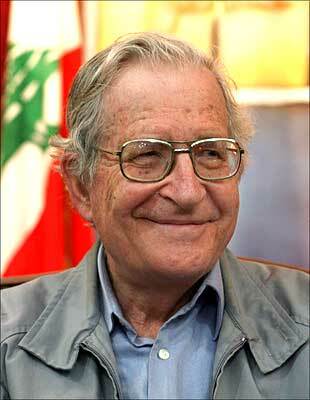 Noam Chomsky needs no introduction. A self-described anarchist, the professor emeritus of linguistics at the Massachusetts Institute of Technology has been the foremost critic of the United States foreign policy over the last few decades. Wherever people suffer, be it Somalia or Palestine, he lends his support. In an interview to the Sri Lanka [Images] Guardian, Chomsky has aired his views on the ethnic conflict in Sri Lanka -- one of the most deadly wars being fought in South Asia. But news reports indicate, the dreaded Liberation Tigers of Tamil Eelam is on its knees. The Sri Lankan Army, it appears, is all set to take over the LTTE-dominated areas. What does Noam Chomsky say about the situation in Lanka? Also, what does he think about the Obama's [Images] takeover? Excerpts from the interview in the Sri Lanka Guardian. The military aspect of the conflict seems to be coming to an end. What is necessary, and humane, and best for everyone concerned, is to arrive at some kind of political solution that gives a recognition to the valid claims for some form of autonomy or self- determination within the state. Is autonomy for Tamils a viable option? I think the idea of a single state is a bad option now. Parts of Europe, for example, are moving towards more federal arrangements. In Spain, for example, Catalonia by now has a high degree of autonomy within the Spanish state. The Basque Country also has a high degree of autonomy. In England [Images], Wales and Scotland in the United Kingdom are moving towards a form of autonomy and self-determination and I think there are similar developments throughout Europe. Though they're mixed with a lot of pros and cons, but by and large I think it is a generally healthy development. I mean, the people have different interests, different cultural backgrounds, different concerns, and there should be special arrangements to allow them to pursue their special interests and concerns in harmony with others. So, what is the way out of the situation? I think every possible effort should be made for peaceful diplomatic resolution. There's a terrible burden of proof to bear for those who would advise violence as a solution, and I think the resort to violence has almost always been harmful, almost bitterly so, so I think the first assumption should be that international peacekeepers and diplomacy would be a far preferred outcome and only if it is simply impossible to execute should the situation be allowed to deteriorate into violence, which is usually very harmful for everyone. There are some places where peacekeeping has worked. What should Lanka do once the LTTE [Images] is defeated? The general presumption should be that there will be a form of amnesty. It's probably not a bad idea to establish some kind of truce commission without punitive powers, but with investigatory powers, that would bring to light atrocities and crimes committed on all sides, as a move towards reconciliation. As for current policies, I think Obama looks more aggressive and violent than Bush. The first acts under his administration were attacks on Afghanistan and in Pakistan, both of which killed many civilians, building up support for the Taliban [Images]. He wants to extend the military side of the war. There is an Afghan peace movement, which is calling for a reduction or an end of terror. President Karzai has pleaded with the United States not to carry out attacks that will hit civilians and, in fact, has demanded a timetable for the withdrawal of foreign forces, American forces, but that's just totally disregarded and the opportunities for a peaceful settlement are just ignored. Image: Noam Chomsky. Photograph: Reuters/Jamal Saidi.